Guard yourself from acquiring these 3 bad financial habits from your friends or getting influenced to make these bad money decisions. A study in the recent past, released by the American Institute of CPAs and Ad Council, has revealed that, about 75% of young adults try to follow their friends’ financial habits instead of determining their own. As per the research, about 66% of young adults try to keep pace with where their friends live, even if it’s expensive. However, a research published in Psychological Science, which is a journal of the Association for Psychological Science, has stated that a person’s overall satisfaction depends on how much respect he/she is getting from the people around him/her; in most cases, his/her friends. You won’t be able to earn that respect by showing how much wealth you have. Even then, most of you develop certain habits from your friends, which aren’t good for your finances. Check out whether or not you have acquired these 3 bad financial habits of your friends or been influenced to do so. 1. Succumbing to peer pressure - Suppose you’re walking down a street with one of your friends and come across a branded garment store. Both of you enter the store to have a look. Immediately your friend buys a lovely dress and asks you to buy one. And, finally both of you end up buying lots of stuff. That moment you feel very happy. But, after coming back home, you realize that you’ve spent quite a lump sum amount of your paycheck on shopping and your budget has gone for a toss. Unquestionably, “word of mouth” has become one of the most popular methods of advertising. So, you always pay heed to your friends’ recommendations. And, spontaneous shopping trips are one the most popular bad financial habits you acquire from your friends. Along with that, if you have the habit of keeping up with the Joneses, then don’t repent for not being able to follow your monthly budget. A study has revealed that about two-thirds of young people feel the pressure to keep up with the lifestyle of their friends. 2. Using shopping as an excuse to socialize - This is particularly true for women. As per US Census Bureau statistics, 80% of consumer spending is done by women. This percentage amounts to about $5 trillion a year. 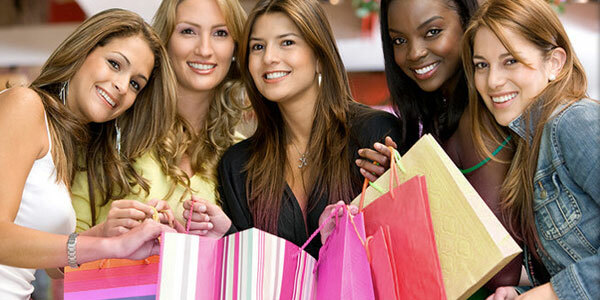 Usually, women use shopping as a mood uplifter and to socialize with friends. To combat with this scenario or habit, do not host a friend’s party where you can be easily enticed to shop. Instead, you can drive to your friend’s house or call him/her for lunch or dinner, or arrange a barbecue in your nearby park. You can save more by arranging the barbecue party at your front or backyard. By doing so, you can focus on your friends’ ideas and get to know them better, instead of getting distracted by the shop windows. If you do so, the quality of your conversations as well as your bank balance - both will improve. 3. Justifying your spending by taking your friend’s advice - It’s your long cherished dream to buy a sports car. One day you meet a friend and share your thought. He/she advises “Why don’t we go for a test drive together?”. You immediately agree to his/her proposal. It’s quite obvious that you’ll love the drive. Then your friend tells you “Don’t think so much. Just take out a loan to buy the car”. You get your friend’s support and apply for the loan. Next time you do it, think once again. Researches reveal that, people often fall into debt problems thinking that finalizing a purchase will make them happy. But according to scientists, these emotions are short-lived and don’t take much time to dissipate after you sign the dotted line. So, make sure you can differentiate between whether you should listen to your best friend’s advice or rely on your own judgment. Here are 4 ways by which you can practice good financial habits and not get swayed away by your friends’ advice. Go for shopping alone - Make a list and go for shopping alone so that you can make your own decisions. Keep track of your spending - For a month, write down whatever you’re buying so that you can identify where you need to cut down. Find a friend with good financial habits - Like bad habits, good habits are also contagious. So, make friendship with someone or select someone who practices good financial habits. Set goals and realize them - Once you set your financial goals and realize them, you’ll be focused to follow them and you can overcome distractions. IInstead of spending more with your friends, why not influence them to save and make a good financial future? Think about it. If you can acquire others’ habits, your friends can acquire your good financial habits, too. So, be a role model to them and inspire them to practice good financial strategies for a better living.